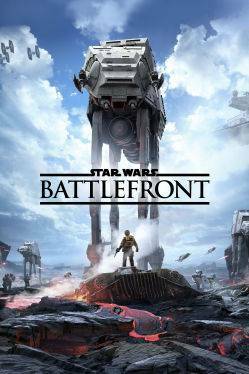 Buy Star Wars Battlefront for Origin on GGlitch.com | Fast, secure and easy! It is an ambitious action shooter that give players the opportunity to step into the shoes of their favorite Star Wars characters, pilot quintessential Star Wars vehicles, and relive classic Star Wars battles. In 2004, the original Star Wars Battlefront came onto the scene and took gamers – and Star Wars fans – by surprise. It was an ambitious action shooter that gave players the opportunity to step into the shoes of their favorite Star Wars characters, pilot quintessential Star Wars vehicles, and relive classic Star Wars battles. Fast forward nearly 10 years and gamers still have many of those same Star Wars gaming fantasies – but now they wish to experience those larger-than-life battles in magnificent high definition, with all of the amazing special effects, vehicle physics and gameplay intensity that the next-generation has to offer. Star Wars Battlefront, developed by DICE on Frostbite 3, will surprise and delight fans yet again with a new experience inside this beloved universe made with our signature DICE craftsmanship and commitment to excellence.